On Your Mark, Get Set, DRAW! 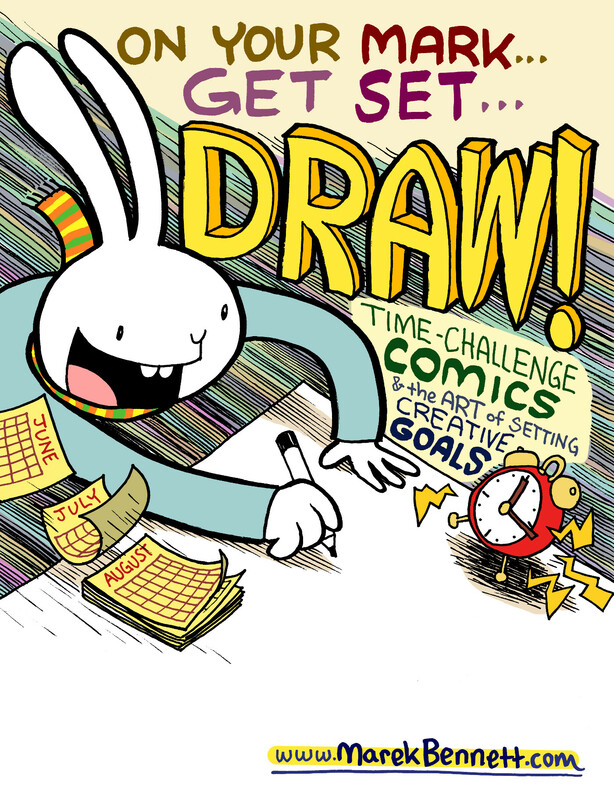 Join NH teaching artist Marek Bennett’s COMICS WORKSHOP as we explore the exciting world of time-challenge comics! 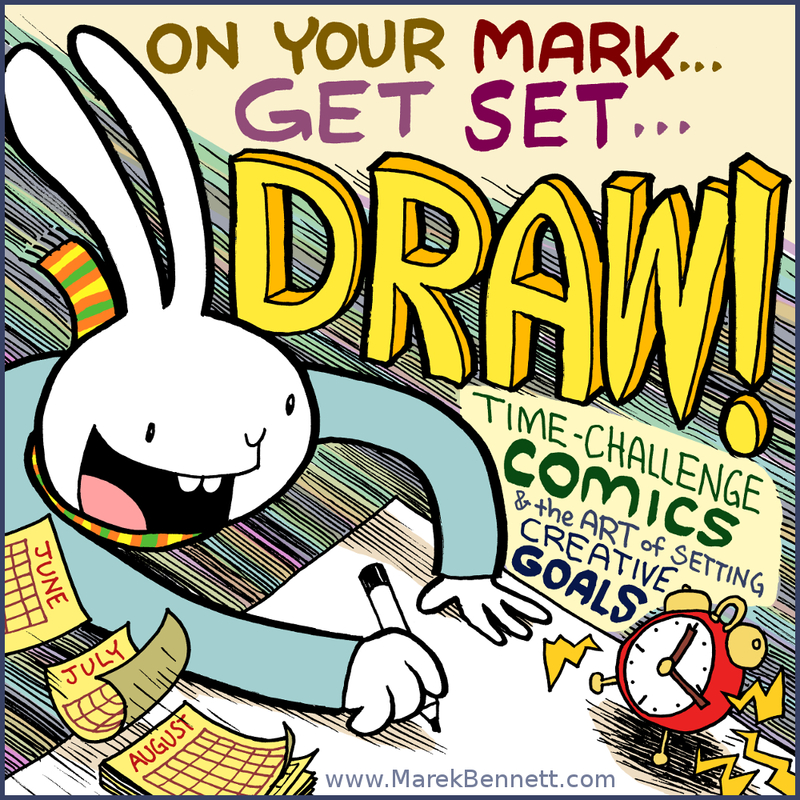 Learn how cartoonists use time (and format) constraints to channel creative energies into dynamic characters, rich settings, and exciting stories told in eye-catching panels and readable pages. 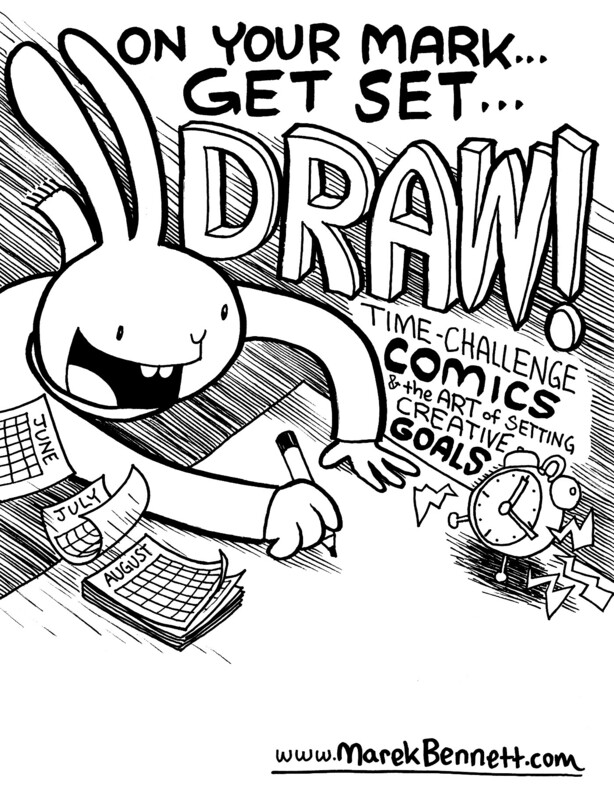 Whether you set out to create a 1-minute mini-comic, a page-a-day project, or even a marathon 24-hour comic, you’ll find yourself constantly setting goals and adapting to all the amazing discoveries that happen when you push your art to the limits. Marek shares examples of his own 24-hour comics, and demonstrates how time constraints actually free us from “perfectionism” and help each artist focus on what’s most important to the story at hand. This interactive workshop builds literacy skills, shares complex project organization and self-publishing techniques, and helps young artists collaborate, appreciate, and support the work of their neighbors. Participants go home with all the skills necessary to continue creating comics all Summer long. No experience required – everyone can draw comics! Marek will bring pens, markers, art tools, & art samples. Contact Marek with any questions about materials & equipment. Each participant creates 1+ pages of original comics artwork.